All rowers have the right to compete in sport knowing that they, and their competitors, are clean. British Rowing strongly believes in clean sport and works in partnership with UK Anti-Doping (UKAD) and our international federation, World Rowing, to ensure the integrity of British Rowing is protected. The use of performance-enhancing drugs and other doping behaviour severely damages the legitimacy of sport and undermines the integrity of clean rowers. The anti-doping rules of British Rowing are the UK Anti-Doping Rules published by UK Anti-Doping (or its successor, as amended from time to time). These are consistent with the World Anti-Doping Code (2015 Code), which governs anti-doping internationally. Such rules shall take effect and be construed as the rules of British Rowing. If you are involved in rowing at any level, and in any discipline, these rules apply to you, regardless of your age, or whether you are competing, coaching or supporting rowers. The 2015 Code outlines ten Anti-Doping Rule Violations (ADRVs). Athletes and Athlete Support Personnel (ASP) may receive a ban from sport if any of the ADRVs are committed. Not all of them are associated with a positive test, therefore you should find out what they all are. British Rowing delivers Clean Sport workshops to support clubs and rowers. Click here for more information on how to request or attend a workshop. Under the 2015 Code, a minimum four-year ban from sport will apply to those who are found to be deliberately cheating and breaking the Anti-Doping Rules. The 2015 Code has little sympathy for carelessness – for inadvertent doping, rowers are more likely to face a two-year ban from sport. All rowers, coaches and athlete support personnel need to make sure they have sufficient anti-doping knowledge to avoid committing an ADRV and receiving a ban from sport. All banned substances and methods in Code-compliant sports, such as rowing, are outlined in the Prohibited List which is updated at the beginning of every calendar year, but may also be updated throughout the year. The latest Prohibited List can be found on the World Anti-Doping Agency (WADA) website. The fundamental anti-doping principle of strict liability means that rowers are solely responsible for their conduct, the decisions they make and for any banned substance they use, attempt to use, or that is found in their system, regardless of how it got there and whether or not they had an intention to cheat. It is therefore important that all rowers conduct themselves within the rules and make informed decisions to ensure they train and race clean, using the anti-doping tools available to them. Athletes can find out more about testing, including their rights and responsibilities, in the UK Anti-Doping Athlete Zone or by downloading the Clean Sport App from their app store. Rowers are strongly advised to be very cautious if they choose to take any supplement such as vitamin tablets, energy drinks, or sport nutrition formulas. This is because there is no guarantee that any supplement is free from banned substances – are you willing to risk a four-year ban? British Rowing has produced a supplements policy which all rowers should read before considering the use of any supplements. Informed-Sport is a risk minimisation scheme in the UK, which is a supplement manufacturer testing and certification programme. It aims to assure athletes that products carrying the Informed-Sport mark have been regularly tested for prohibited substances and manufactured to strict standards. It is not possible to provide a 100 per cent guarantee, however, that any supplement is totally free of contamination. If any rower has made a decision to use a supplement, then it is better to use one that has been subjected to credible testing and appropriate manufacturing controls. Make sure that the product that has been batch tested on the Informed-Sport website matches the batch of the supplement you are intending to use! For more guidance on healthy eating without the use of supplements, have a look at the British Rowing Nutrition Guide written by the lead nutritionist for British Rowing, Wendy Martinson. Do I Need a TUE? If prescribed a substance or advised of treatment required, rowers should find out whether the medication is prohibited by checking the Global DRO. If both the medication or proposed treatment is not prohibited, rowers can start using the prescribed medication and/or start the advised treatment. If the medication or proposed method of treatment is prohibited, rowers should check with their prescribing doctor or sport’s medical personnel to see if there are any alternative medications or treatments that are permitted. If there are no permitted alternatives, rowers should follow the link above to find out what type of exemption is required and if a TUE should be applied for prior to use, or after doping control. Only in emergency situations (such as an allergic reaction, exacerbation of asthma,the onset of Bell’s palsy, severe injury or a life threatening situation) should treatment begin without the necessary approval. It is crucial that rowers check all medications are safe to take prior to use. Medications can be checked online via the Global Drug Reference Online (Global DRO). Global DRO provides an essential means by which rowers and athlete support personnel can check the status of medications purchased in the UK, US, Canada, Japan, Australia or Switzerland based on the current WADA Prohibited List. 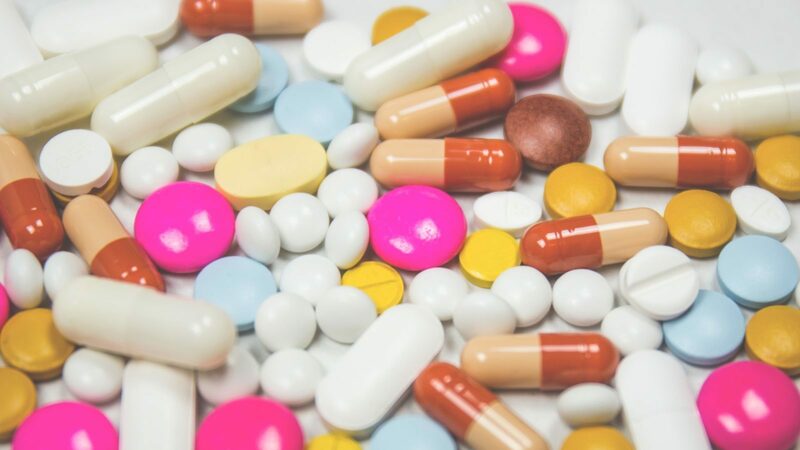 It is important to note that medications brought in one country may contain different ingredients to the same branded medication in another country. Please note, however, that when checking a substance the result may be neither a ‘yes’ nor ‘no’. In this case you must assume it is a banned substance and seek further advice from UKAD and/or British Rowing. British Rowing also strongly suggests that the ‘in-competition’ status of medication is used at all times. The 100% me Clean Sport App provides you with all the essential anti-doping information, helping you to make the right decisions on the go. The app provides clear and concise anti-doping advice, guidance and updates to ensure you can be clean and stay clean wherever you are training or competing. If you need to check your medication, learn more about the risks with supplements, or simply understand more about the testing procedures and your rights as a rower, then the app is the place to start. 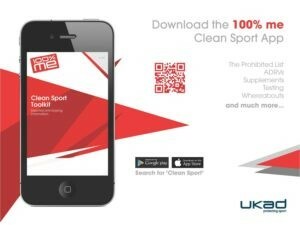 The 100% me Clean Sport App is available for either iOS or Android and can be downloaded for free via iTunes or Google Play – search for ‘Clean Sport’. or submit a form: submit information to UK Anti-Doping via a secure online form.